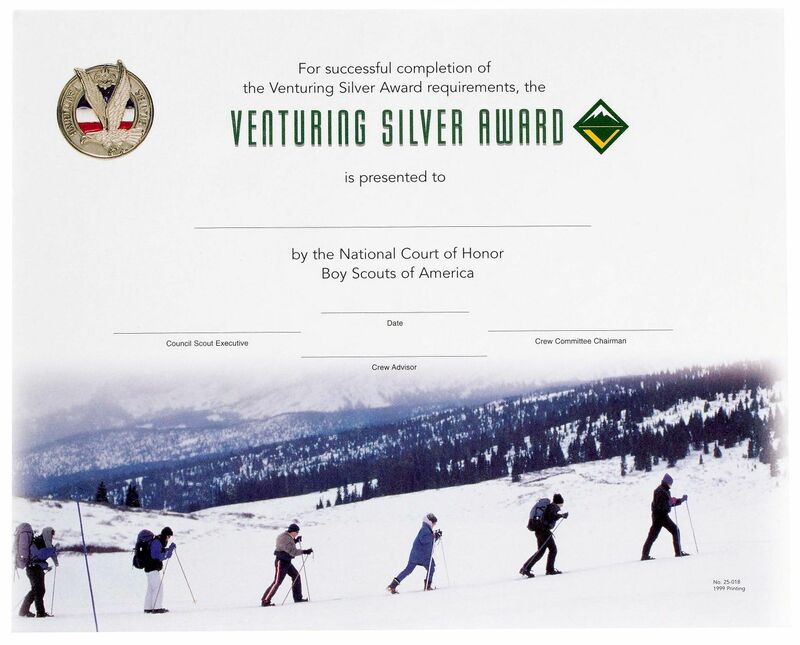 The Venturing Silver Award is the acme of the Venturing program, advancing from the fundamentals of the Gold Award. 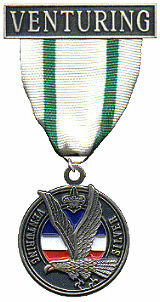 The Silver Award focuses on emergency preparedness, leadership, and ethics. 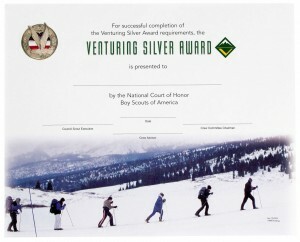 The Venturing Silver Award is available to all Venturing youth members of the Boy Scouts of America. Its purpose is to provide a pathway for personal development; encourage Venturers to learn, grow, and serve; and recognize the high level of achievement of Venturers who acquire Venturing skills. Venturers work with their Advisors to establish a plan of action for earning the Silver Award. 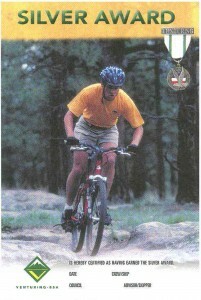 Venturers can choose to work on the requirements alone or with other Venturers as in a crew activity. Venturers can work on requirements in the Bronze Award program, Gold Award program, and Silver Award program simultaneously. They could also work on each program separately. It’s up to the Venturer and Advisor as to how they earn the award. 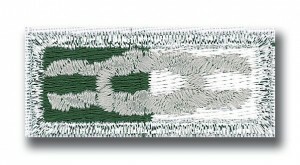 After completion of all requirements, the Venturing Silver Award candidate will go through a formal review with other Venturers and adults from the crew. Earn the Venturing Gold Award, which includes knowing and living the Venturing Oath, service, personal development, and 12 months tenure. Become certified in Standard First Aid or equivalent course. Complete the BSA Safe Swim Defense training Course. Either lead or participate in a group swim using BSA Safe Swim Defense. Successfully complete the Introduction to Leadership Skills for Crews. Successfully serve for at least six months in an elected or appointed crew, district, or council leadership position. Participate in at least two Ethical Controversies activities from chapter 9 of the Venturing Leader Manual. Either organize and lead, or help organize and lead an Ethics Forum for your crew, another crew, school class or other youth group.